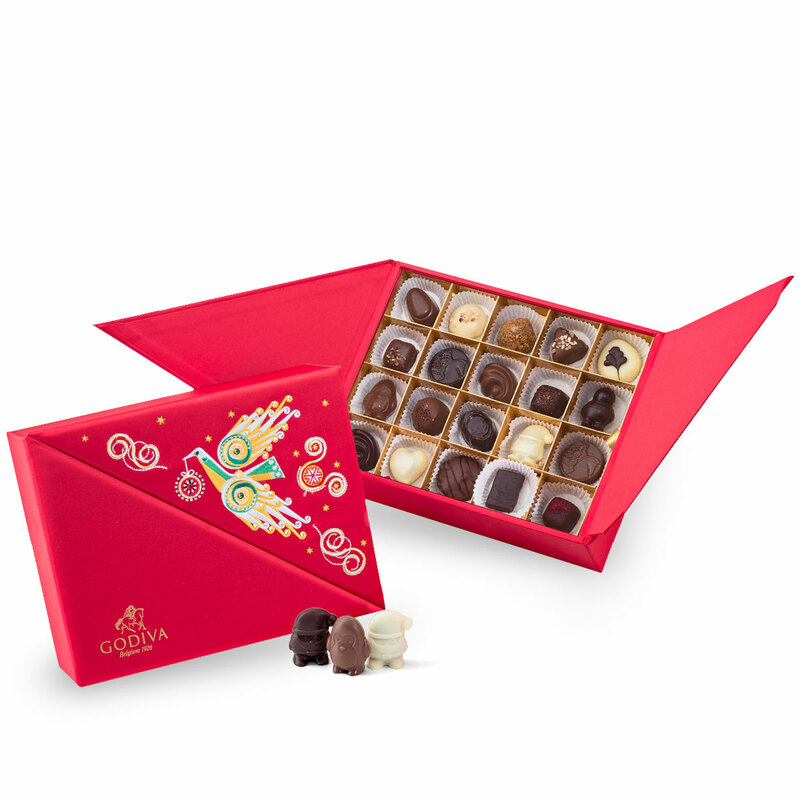 Indulge your loved ones with this luxurious Godiva gift box. 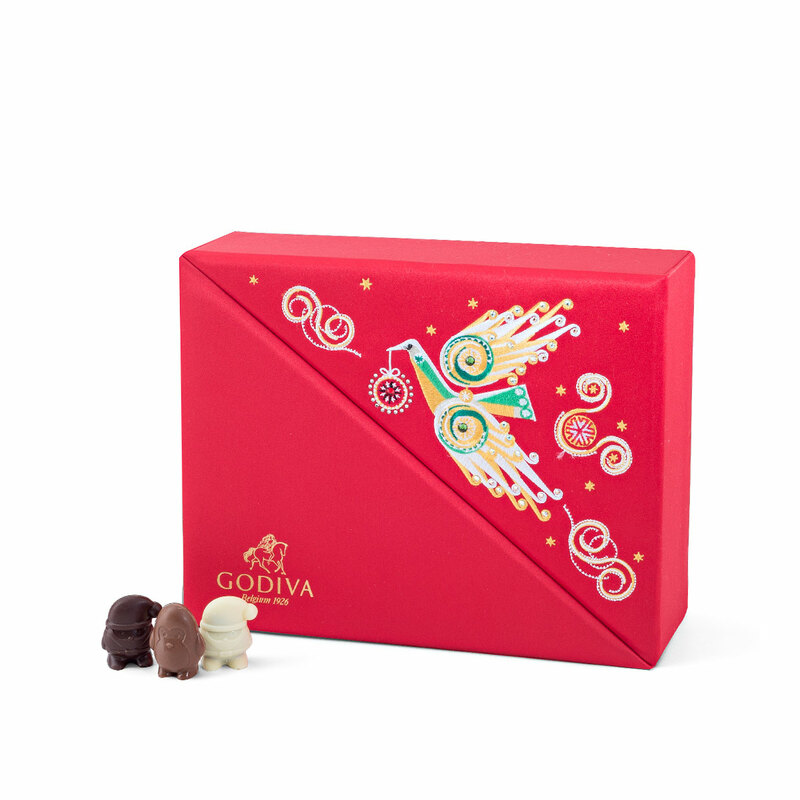 A vibrant red fabric gift box is adorned with an embroidered dove with festive ornaments, embellished with delicate Swarovski crystal bead work. The gift box itself is truly spectacular, and the Godiva chocolates inside are just as magnificent. 40 irresistible milk, dark, and white chocolates are elegantly presented in two layers. 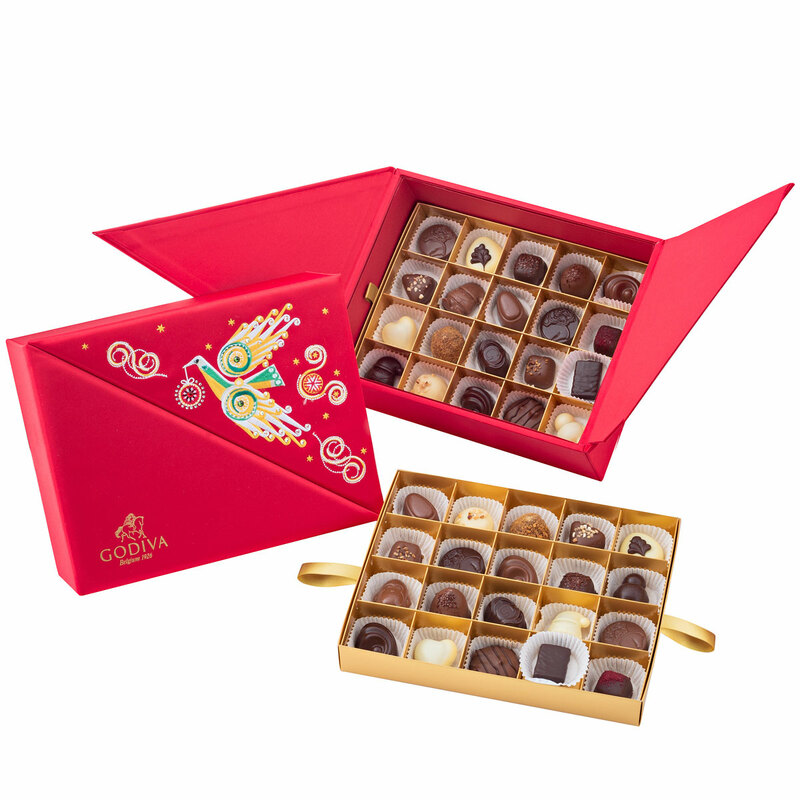 The tempting variety of fillings and flavors will delight every chocolate enthusiast.